We are excited to announce that our new album Shipwrecked is released today on Vollwert-Records Berlin. It features 10 brand new tracks on CD gatefold. Released 8th September 2012 (Vollwert-Records Berlin). Ltd edition pink vinyl, CD and download. ALSO AVAILABLE FROM NORMAN RECORDS, ROUGH TRADE, PEBBLES, HANDS AND ARMS AND VOLLWERT-RECORDS BERLIN. Released 23rd August 2012 (Vollwert-Records Berlin). 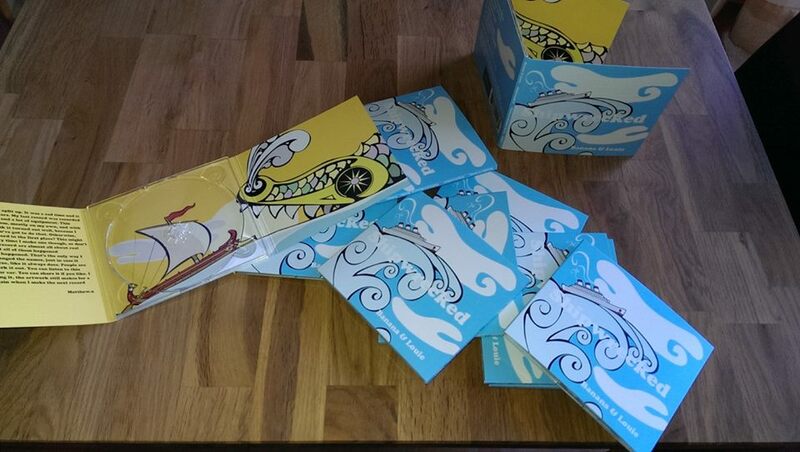 Available to buy from Vollwert-Records Berlin or by clicking the paypal button. It’s just £2.49 (£1.49 p+p). This is one of those albums that will have instant appeal. Well, it will if you like music that comes straight from the heart. Alphabet Soup has an organic feel with strong song-writing, and it comes with clever arrangements and effective orchestral parts. Like The Pastels meet Love. B&L is Matthew Stead’s latest venture, formerly of Exeter’s A Fine Day For Sailing. Matthew now lives in London, and continues to write perfect pop songs, co-hosted with Sharon Leach and backed by A Little Orchestra. Many highlights: the gorgeous Hero of the Home Counties is just one. And there’s Koh Samui/I Have Your Melodica, You Have My Heart, merged together, creating possibly the best love song I’ve heard this year. And from – When you motor away….. The full line-up for the album is Matthew Stead (vocals, guitar, percussion), Sharon Leach (vocals, keys, glockenspiel, melodica), Jacob Chivers (drums), Simon Nelson (bass, guitar), Gareth Jones (bass), Kenny Lee (piano), Natalie Hudson (violin), Matthew Walker (violin), Claire Hadidjenar (violin), Jill Faure (viola), Helen Short (cello), Catherine Carr (flute), Keira Poland (flute), Nicola Burnett Smith (bass clarinet), and Alex Bilig (bassoon). For those wondering about the somewhat unusual name of the group, Brian Wilson of the Beach Boys owned dogs named Banana and Louie, and their barks appear on the Pet Sounds album. One of my favorite songs on the album is the sweet and lovely “I Have Your Melodica (You Have My Heart)”. Hearing it reminds me that we haven’t had a Camera Obscura album for a while. And that is no put down for Banana and Louie — if you remind me of Camera Obscura you are on the inside track to my musical heart. The album is available on CD, digital download and pink vinyl. The label is Vollwert-Records in Berlin, a fine label devoted to indie pop music. 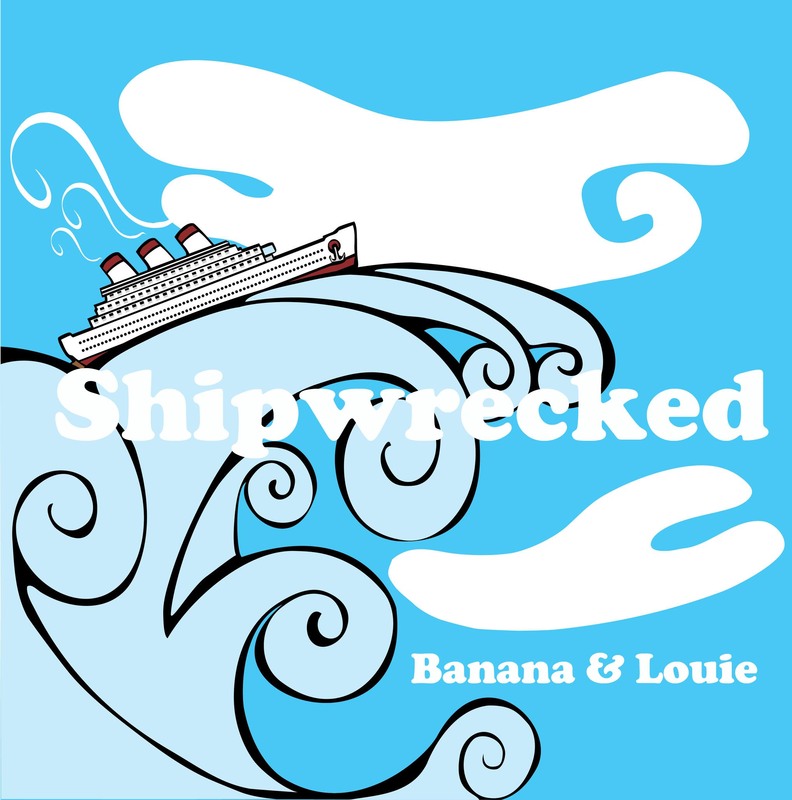 A couple of lovely little reviews have just come in..
Banana and Louie is the new band of Matt from A Fine Day for Sailing. 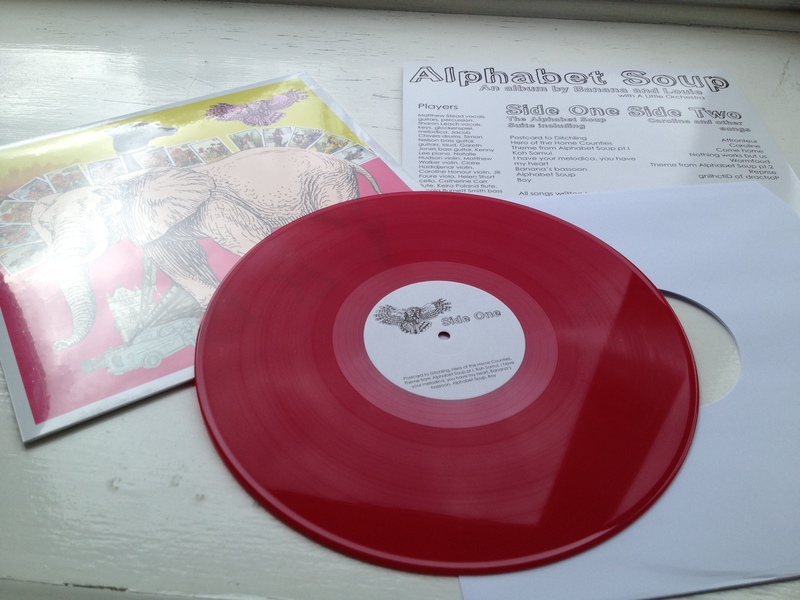 This album is available on CD, download, or reddish-pink vinyl, the latter of which looks fantastic! Banana and Louie play late 80s-style indiepop, and it’s some of the most exciting music of this type that I’ve heard in recent times. The songs are very much in keeping with the original indiepop scene, with happy-go-lucky, catchy melodies, jangling guitars, sentimental, sweet and very much non-arrogant, non-rock-n-roll lyrics, and so on – but there is also an important difference. Banana and Louie have joined up with A Little Orchestra, who provide string and woodwind arrangements which work astonishingly well. It was surely a genius move to get them on board: the old-school indiepop meets chamber-pop idea is a winning formula, and certainly doesn’t sound bland, pompous, or excessively sophisticated. This is a real feel-good album that makes me grin from ear to ear! Fans of classic indiepop simply cannot miss it! Beach Boys devotees may have already spotted the connection;Banana and Louie were the names of Brian Wilson’s dogs who can be heard barking on Pet Sounds (if you have the 4CD outtakes set they have their own isolated track). 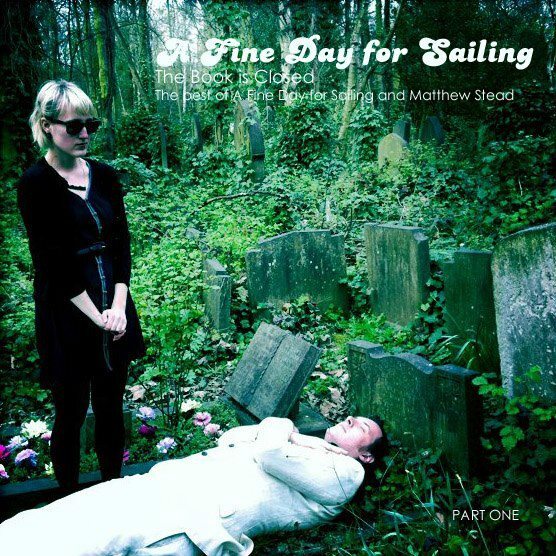 Taking both their band name and inspiration from that masterpiece, Matt and Sharon from London indiepoppers A Fine Day For Sailing entered the studio to work on this ornate collection of baroque indiepop symphonies. Without knowing this the link would still be apparent, and not just because of the animals on the cover. By the way, they’re not telling us which one is Banana and which one is Louie, we have to guess. It’s quite likely that they haven’t decided themselves, but to join in with the fun/humour them we’ll go for Matt being Banana. There are many references to the Beach Boys experimental phase with Smile/Smiley Smile also being an influence. 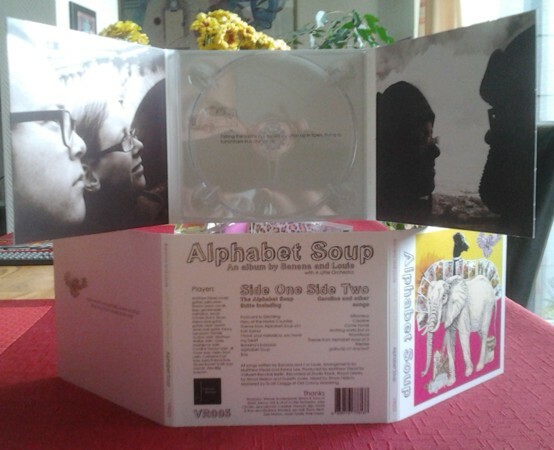 A handful of tracks on ‘Alphabet Soup’ are short instrumental sections, echoing the various components and short bootleg tracks that have been doing the rounds amongst collectors since they were shelved back in 1967. Something like the 26 second ‘Bassoon’s Banana’ could be a homage to Smile off-cut ‘George Fell Into His French Horn’ and there’s a recurring piano line/theme that gently suggests we look at this as an album rather than simply a collection of songs. 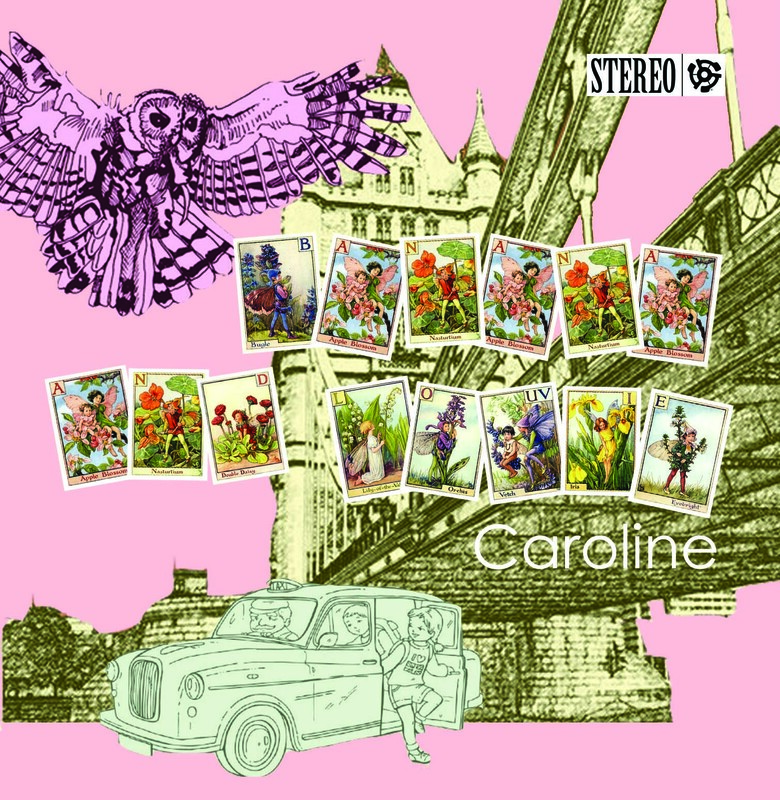 It’s probably safe to assume that the ‘Caroline’ they sing of is the same one who Wilson penned ‘Caroline No’ about, and maybe the record’s title-track is their own version of ‘Vegetables’. Aside from these cryptic references, ‘Alphabet Soup’ owes as much to the orchestral indiepop of Belle & Sebastain, The School, Camera Obscura and so on. These are incredibly sweet songs and the arrangements are wonderfully thought out, doing just enough to augment their melodic tunes without swamping them. Sweeping tracks like ‘Koh Samui’ and the lovely ‘Nothing Works But Us’ might be sugary, but they’re heartwarming and endearing with it. You can’t help but notice how much care and attention has been put into the instrumentation on this album and it’s certainly paid off, just listening to the cinematic ‘Reprise’ proves that. Of course this won’t go down in history in the same way that its heroes did, and it’s doesn’t claim or try to. ‘Alphabet Soup’ feels like Banana and Louie paying tribute to the music they love, and as tributes go you can do a lot worse than this gorgeous batch of tunes. 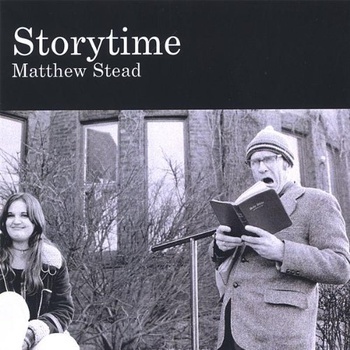 In some very exciting news – the entire back catalogue of Matthew Stead is now available on Bandcamp for free. The music spans 8 albums and below is a little bit about each one. Please feel free to download the lot and share as much as you want. If you really like it, why not buy a physical release and support Matthew’s main champion Vollwert-Records Berlin. The bonus tracks are from my first attempt at the album. They didn’t quite work, but looking back I’m quite fond of them. After recording Storytime I moved down to Exeter to be with a girl. It didn’t work out but it was an exciting time. I opened my own bookshop The Storyteller. That didn’t work out either, because Waterstones beat me into the ground with super discounting and copying my ideas. During that time I met Jen who became my best friend and musical compadre. 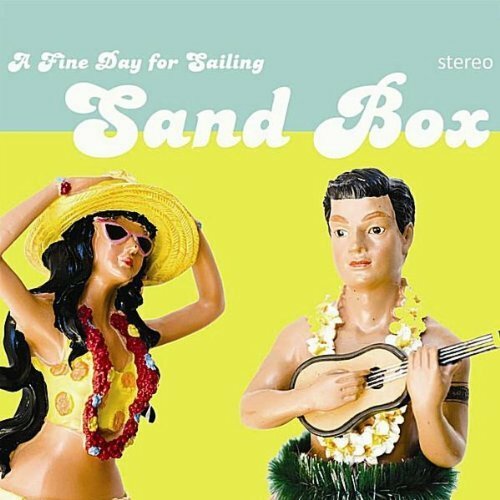 We started our own little two piece band called A Fine Day for Sailing. We used to practice in the little storytelling room after hours. It was anti-folk pop really. For one reason and another we ended up living in different cities, but a few years later we were both back in the band again. We looked back and made this album from our original demos from the very first stuff we wrote and recorded it all in my bedroom in one weekend. AFDFS had changed musically by then so we did this as a side project ‘Lost and Found.’ It suited our situation. We got lost then found each other again. We’re going to record another Lost and Found album soon and do some concerts. I really like the lo-fi spirit of this album – from the melancholy Auld Lang Syne to the bedlam fun (and ex-live favourite) of Fermez La Bouche. True story: Jen’s sister walked down the aisle on her wedding day to our version of Be My Baby. The bonus song on here is a sad song I wrote around the time about a bad situation I was in. It didn’t make the album but I still like it. 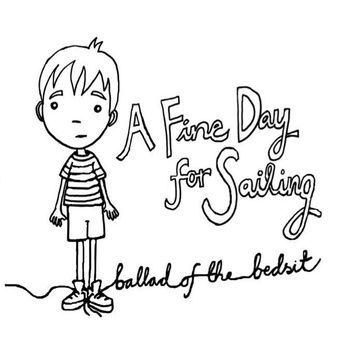 The first proper A Fine Day for Sailing album. After Jen moved away to Brighton I thought I wouldn’t be making music again. Thankfully at a Phil Wilson concert in Exeter I met Simon Bish and gave him a copy of Storytime. He really liked it and put me in touch with Andy B who put gigs on at the Picturehouse. Simon liked the music enough to ask me to record an album for Pop Noise Records – the label I’d spend much of the next year involved in, helping to organise shows, posters and all sorts. I recorded this album in my bedroom, with Simon and Andy helping out with vocals and bass respectively. Around this time I also met Leo from the band Console. I always walked past him on my morning walk to the bookshop and thought he looked cool, but neither of us knew who the other was until we shared a bill on a Pop Noise night one time. Leo joined in adding vocals and guitar on this album. Before we knew it we were a proper band playing gigs around the Westcountry, with the odd trip up to London. The drums on this album were recorded by Andy Fonda (now of the June Brides) at his brill little studio in Tipton St John. 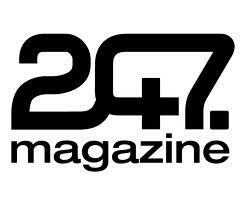 The album was released to some acclaim, we were really pleased to get 5/5 in Artrocker Magazine. It has since sold out. We never really got anywhere but it was always nice we sold out of our short runs. The bonus tracks here are from my first go at the album. It was released as Honeylands on Pop Noise, but I never really liked it as my own attempt at bass and drums are appalling. It’s a shame though because some of the songs were good and Heart Shaped Box has become a live favourite for some. This album goes hand in hand with My Baby Loves Pop Music. After MBLPM I decided I wanted to do a proper studio album with the band so we decamped to Andy Fonda’s Off the Rails studio and started recording Sand Box. I wanted an album that reflected our love of harmonies and pop music. I’d been reading Revolution in the Head and Leo and I have always been massive fans of both the Beatles and Beach Boys. We tried mixing together acoustic and heavier guitar. 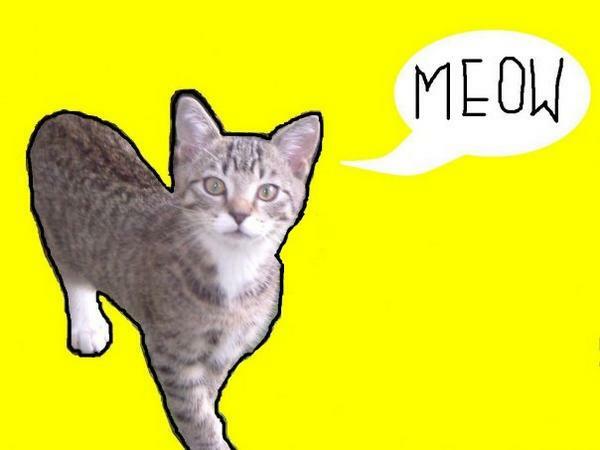 Me and Leo wrote a couple of songs together for this album. One of the best Honey Money is only available on the Summer Blonde 7″, so you have to get that if you want it! I’d been experimenting a lot with using sevenths, fifths and major to minor chord changes. You can hear it all over this album. Our friend Nick Henderson had joined us on bass and Andy Fonda also helped out with singing so we could get some proper four and five part harmonies going. The album was released on Vollwert-Records Berlin and has since sold out. Pop Noise was winding down and luckily Werner at Vollwert really liked our stuff having heard of us through a good friend Arash Torabi, DJ and journalist. I’m really proud of this album. It was our most together album to date and it hangs together really well. I’ve got really happy memories of getting a bus out to Tipton St John with Leo those summer nights to make something special. 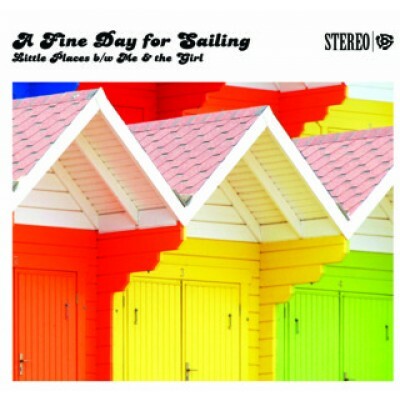 The first of only two releases from the London version of A Fine Day for Sailing. In 2011 I moved to London. The bookshop had closed down and I’d been working in libraries, which I loved. Somehow though, I always felt the need to come to London, where they say it all happens. It was true, it really did all happen. Within a few months I had a brand new band and we were up to a seven piece including cello and violin. Jen was living in Brighton so we started making music together again for the first time in a couple of years, with the help of our old friend and ex-Devonian Jacob Chivers on drums. Thom Allott replied to an ad I put on the Anorak music forum for a bassist and after that Sharon Leach joined on keys, Lauren Palmer on cello and Caroline Honour on violin. We got a really nice big sound and started playing a few gigs. The year that followed was a whirlwind. I organised a libraries benefit involving us, Jens Lekman and loads of good indiepop bands that sold out in under a minute. We played How Does it Feel presents, Librarians Wanted and got to perform on the main stage at Indietracks. It was a brilliant year. The only bad side was that we were so busy we barely had time for recording. I found this really hard and I’m sure this was part of one of many reasons we split up a year or so later. I’m really proud of the two singles we did do. They were both recorded at Soup studios with by Simon Trought and Mike from Allo’ Darlin. Leo added a bit of guitar to this first single by the magic of the post! This one was released on Dufflecoat Records on 7″ vinyl. This was the only London AFDFS to get proper radio play, this time on Gideon Coe. 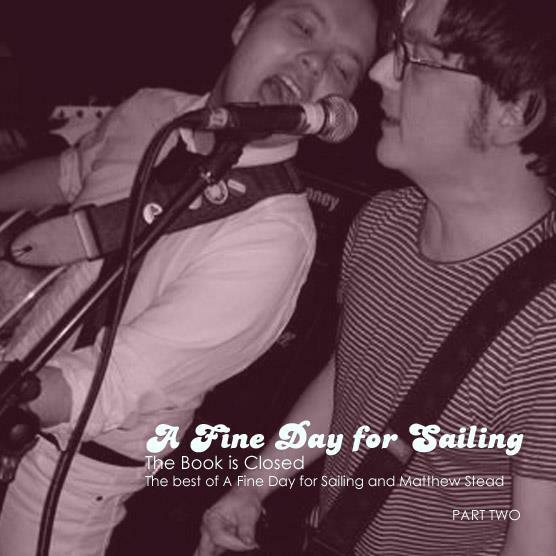 The second release by the London A Fine Day for Sailing and probably the best thing the band ever did. I truly love this single. Like almost all my songs and especially the Banana and Louie album to come, it is essentially autobiographical. I’m happy the way the song captures my need to hide away (probably part the the reason we never really got anywhere in music!) The sound is how I always wanted us to sound – big and poptastic! Werner released this one for us on Vollwert-Records Berlin and it is still available on ltd ed. CD. The album I always wanted to make. Towards the end of AFDFS me and Sharon were lucky enough to be asked to perform a track at Indietracks with A Little Orchestra – a group of very talented musicians who play indiepop music, amongst other things, using lots of orchestral instruments. We asked if they’d like to do a whole album with us and they said yes! 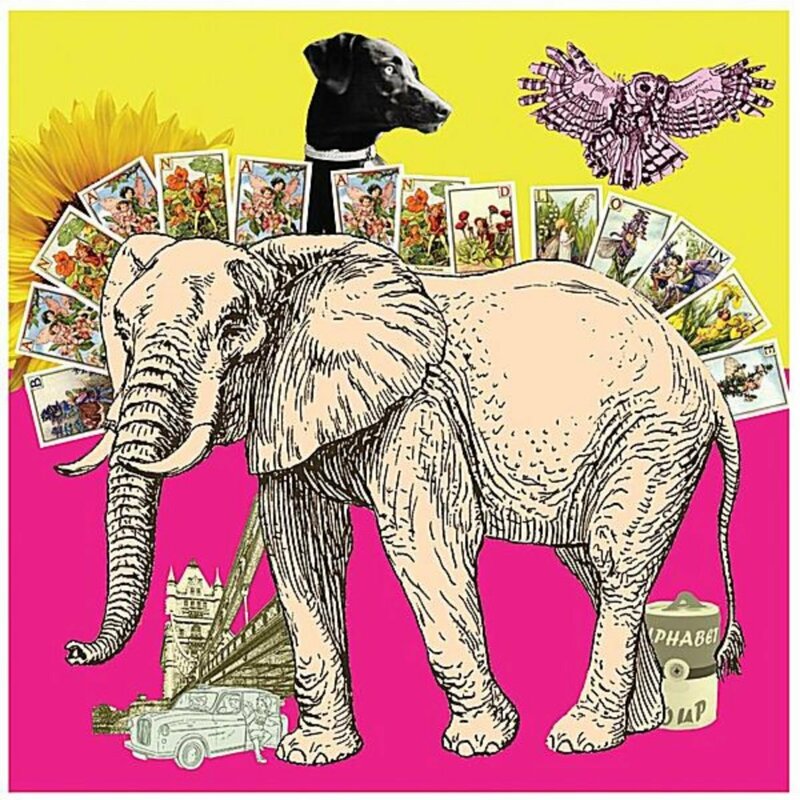 From October 2011 to summer 2012 I spent much of my time tubing it up to Wood Green to Studio Klank where we recorded this album with A Little Orchestra and friends, with Simon Nelson and Gareth Jones on the desk. I’d written lots of baroque pop songs and spent loads of time making rough arrangements – from as far back as when I was in Devon. Kenny Lee from ALO scored the parts and was a massive part of the album, as was Natalie Hudson, who helped organise so many people. The album was a labour of love and I’m really happy with the results. It took nearly a year and my sanity, but it was worth it, I hope you like it too. This one is still available in Ltd edition 12″ Pink vinyl and ltd edition gatefold CD. Album of the week! And get it at Rough Trade.